"Anyone who works in any kind of plant engineering is vigorously pursuing these technologies, especially with crops that have complex genomes or that you can’t breed easily. "Just as ‘traditional’ genetic engineering, gene editing techniques can induce unintended changes in genetic material even if only one or a few base pairs have been altered. Researchers have used NBTs to engineer products that sailed through the regulatory system, such as the non-browning Arctic Apple and bruise and disease-resistant Simplot potato varieties developed using gene silencing. There are hundreds of CRISPR crops in development with dozens of useful traits but only one approved product in the US—a non-browning mushroom. Despite the fact that NBTs almost never involve transgenics, which had been central complaint of anti-GMO critics, biotechnology skeptics and advocacy groups almost universally have declared their extreme skepticism of NBTs. 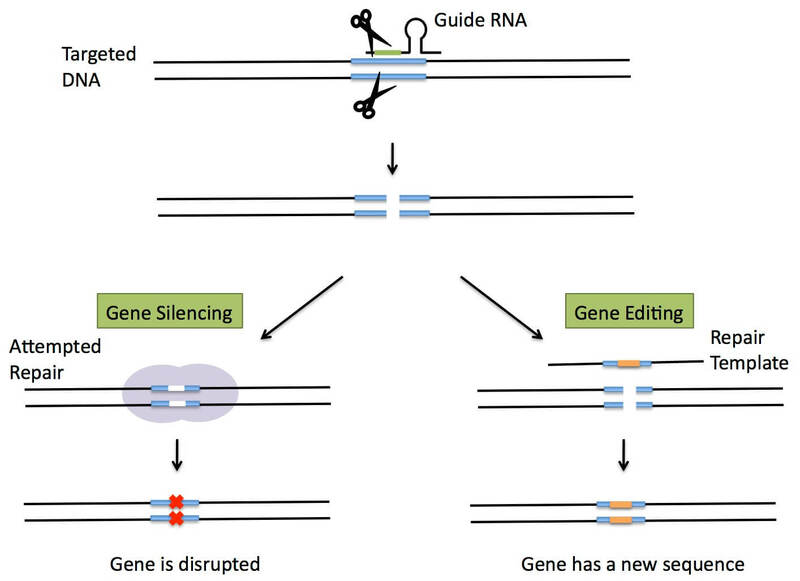 They refer to CRISPR and other gene editing techniques, and even gene silencing, as “extreme engineering”, and advocate for them to be regulated as transgenic crops are currently. One of the more revolutionary developments in the realm of genetic engineering has been the introduction of several newer techniques with the potential to change how scientists guide the breeding of plants and animals, and further research on human development and diseases. They could also radically modify how governments define and regulate genetic engineering on humans and in agriculture. Until recently, most genetic engineering relied on transgenic techniques, with modifications made through the addition of genetic material from different species. These modifications led to a range of products, including crops resistant to destructive insects (Bt crops) and herbicides (glyphosate, dicamba). But the regulatory process for traditional GMOs is arduous, taking seven to 13 years and more than one hundred million dollars. Anti-biotechnology activists have labeled these crops Frankenfoods because they were often created by moving so-called “foreign genes” from one species to another. “Plants and organisms unable to physically reproduce can become unnaturally intertwined,” read a typical NGO posting, headlined “Frankenfood=Genetically Modified Food”. “A novel gene may be cobbled together from a plant virus, a soil bacterium and a petunia plant, for example—creating a kind of botanical Frankenstein,” reads another. ZFNs (Zinc Finger Nucleases) is the oldest of the gene editing technologies, developed in the 1990s and owned by Sangamo BioSciences. It has been primarily used in research for a variety of human diseases, including HIV/AIDS and hemophilia. It is used in plants to stimulate the cell’s naturally occurring DNA repair processes, as an aid in mutagenesis and to enhance the efficiency of transgenic product development. TALENs (Transcription Activator-like Effector Nucleases), developed in 2009, offer an easier and more accurate method of gene editing. Its first reported success came in 2012 when researchers at Iowa State University used the technique to develop disease-resistant rice. TALENs result in the few “off-target” effects. The technique has also been used to create hornless cattle (avoiding the painful dehorning practice used by many dairy farmers) and soybeans with higher quality oil. CRISPR-Cas9 (Clustered Regulatory Interspaced Short Palindromic Repeats) is the newest and most powerful of the gene-editing techniques. It is a natural bacterial defense system that scientists have “programmed” to target and edit DNA at precise locations. It offers researchers a relatively inexpensive, easy and quick option to engineer changes. CRISPR is akin to a “biological word processing” system or molecular scissors that allows scientists to snip away weaknesses or insert strengths already found in the species being developed. Researchers cut out a section of DNA. Then, one of two things happens: The loose ends are essentially glued back together, eliminating the undesired trait or weakness. Or a “repair” with a desired trait is inserted into the void. CRISPR is being widely used in human disease research (Read Biotech 2.0 FAQ on Gene Editing), but there are few approved advances. The agricultural sector is further along. 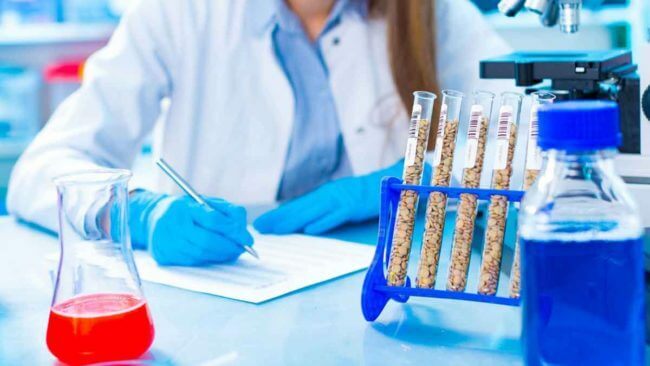 The USDA determined in April 2016 that it will not regulate a non-browning mushroom genetically modified using CRISPR–Cas9, making it the first CRISPR-edited product to receive a green light from the US government. Other products in development include commodity crops such as corn, soybeans, canola, rice, and wheat engineered for drought resistance, resistance to disease or higher yields. Researchers have used NBTs to remove allergens from peanuts, make various foods more nutritious and breed farm animals resistant to deadly viruses. Scientists believe advanced NBTs could help farmers deal with climate change and a growing global population. CRISPR has been used to create disease-resistant cassava and oilseed crops with high levels of omega-3 fatty acids. Numerous animal products are being developed including pigs that don’t need to be castrated, piglets protected from disease, and low-fat piglets that better regulate heat (leading less piglet deaths due to cold). RNAi (RNA interference) is a natural pathway involved in the regulation of gene expression, turning genes on and off. It works by attacking the messenger RNA that carries the instructions for the targeted genetic trait. RNAi has been used in several crops already, including the approved Arctic Apple and various Simplot Innate Potatoes. Scientists have also used RNAi to develop insect and disease resistant crops, crops that neutralize aflatoxin (dangerous to humans) and are exploring its possible use to target bee-killing varroa mites and other harmful insects. Monsanto is working on an RNAi spray to combat weeds that have developed resistance to its glyphosate herbicide. The spray would neutralize the resistance in those weeds. Agroinfiltration is used to induce transient gene expression in plants or even in culture in plant cells, and is mostly confined to research or in production of drug proteins. Epigenetic approaches (such as RNA-directed DNA methylation) are being explored to manipulate plant DNA without permanently changing it. Modified crops such as soybeans, tomatoes and sorghum have shown increased yields and stress tolerance. Site-directed mutagenesis (aka oligonucleotide-directed mutagenesis) is a more targeted form of more random chemical or radiation mutagenesis—two techniques which have been in use since the 1930s and have resulted in some 3000 plants. It’s now used mostly as an investigative tool. Gene editing and other NBTs offer several advantages over traditional transgenic techniques. Among the most notable is that governments may regulate these products (when developed without foreign DNA) less strictly than they do traditional transgenics because they more closely mimic natural processes. The USDA has ruled in several instances that it does not need to review new varieties made without transgenics. Those products, however, still face scrutiny from the Food and Drug Administration (FDA) if they are destined for the human food supply. The precision of the new techniques also results in fewer unintended changes. Researchers say there is still the chance of creating so-called “off-target effects” during the slicing and splicing, but say the dangers are minimal with crops. GMO critics argue that there’s no reason to view gene-edited crops differently than transgenic crops even though ‘foreign’ genes are almost never involved. It’s still not clear whether the USDA has jurisdiction, under current laws, over crops and livestock developed through gene editing that doesn’t involve the insertion of foreign DNA. The agency has concluded that if an edit cannot be distinguished from a natural occurring mutation, it is not a GMO. The United States is working on an overhaul of its patchwork method of regulating this fast-moving sector. The European Union, which heavily restricts many traditional GMOs in part because of the concern of moving genes across the species barrier, is assessing how to regulate plants and animals developed through these techniques. The commission currently defines GMOs as organisms with alterations that can’t occur ‘naturally’, but it says it will clarify the issue. In Sweden, authorities concluded that CRISPR-edited plants (as long as they don’t contain foreign DNA) shouldn’t be defined as GMOs under EU legislation. Other countries throughout the world are going through their own evaluations as how to regulate NBTs. 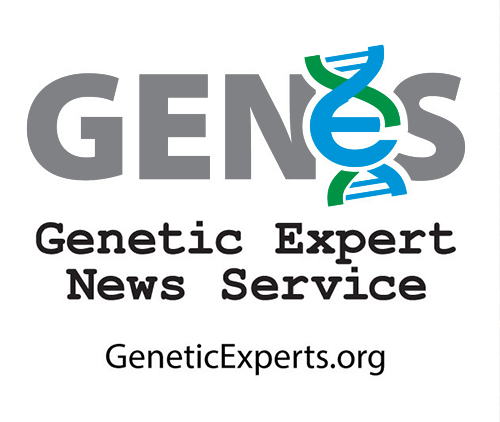 Gene Editing and GMOs, Layla Katiraee, Biology Fortified, February 11, 2015.